Stanislaus, CA Attorney. Family, Personal Injury and Estate Law. Law Office with a primary focus on Family Law, Personal Injury and Estate Law. Offices located in Modesto and Turlock. Serving Clients in Stanislaus, Merced and San Joaquin Counties for over 34 years. When you need a Family Law, Personal Injury or Estate Law attorney, you can rely on Law Offices of Kenneth M. Mello to provide the expert counsel you need. There is no substitute for enlisting the aid of a competent, professional law firm to guide you through the intricacies of the complex legal system and to advocate on your behalf. You will find that Law Offices of Kenneth M. Mello's commitment to quality representation begins with prompt responses to your inquiries, complete explanations of your choices and thorough preparation of your case. When the time comes to make legal decisions that will affect your future, you can rely on Law Offices of Kenneth M. Mello to focus on your needs and goals and to represent you aggressively, fairly and ethically. 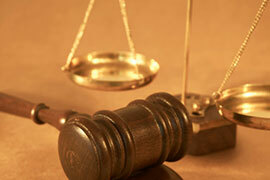 Personal Injury including Wrongful Death. Our track record and reputation for excellence in Stanislaus, Merced and San Joaquin Counties has grown out of our dedication to building long-lasting client relationships. Call today for an initial consultation for us to review your situation and determine how we can help.